All of Apple’s pro apps get updates this week. Compressor adds GPU optimizations; Motion does hardware H.264 encoding and adds 4K export. But Final Cut Pro X 10.1 is the big news. It’s finally the payoff of the painful transition to the X generation. At the same time, combined with a steady parade of updates Apple has delivered since FCP X’s launch, 10.1 relieves a lot of the pain of migrating to X. Because the news of 10.1 coincides with the Mac Pro, you’ve probably already heard about 4K video monitoring with Thunderbolt 2, or the playback and rendering optimizations that take advantage of the dual GPUs in the higher-end (US$3999) Mac Pro. Now, it’s back. And generally, the “I didn’t just ruin my project” feeling is essential to editors, probably more so than 4K. Other must-have enhancements: better file management with Libraries, finally the ability to import your camera media where you want, audio fade handles by channel, logical replace and retime edits, and native AVCHD file support – just the kind of features that confused users trying FCP X.
It’s worth reading through the whole list here, I think. 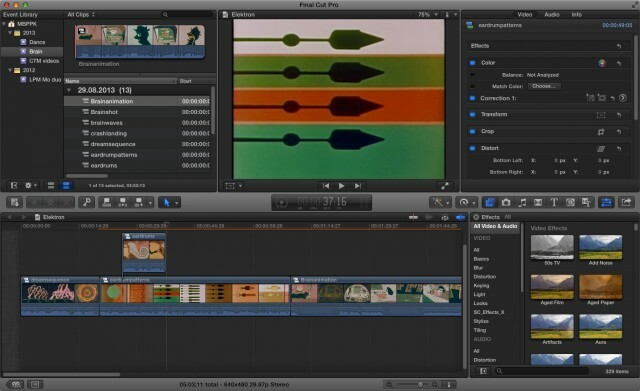 I’ve loved Final Cut Pro X for its blazing performance, but cursed its usability or missing features, and heard similar things from a whole lot of users – even some of them fairly robust FCP X fans. Now, I think the early adopters will have an easier time recommending the upgrade to FCP 7 hold-outs. And, as the newly-localized FCP might say, do these subtle changes add up to make a big difference, one bigger than the sum of its parts? 10.1 is a free update, delivered to Final Cut Pro X users on the App Store.